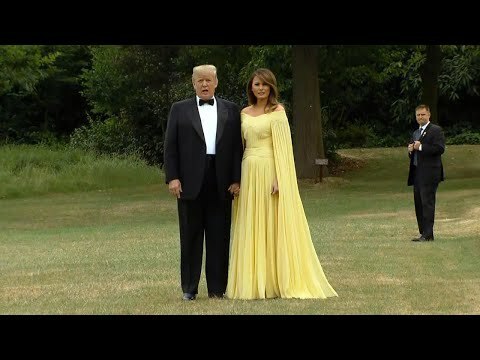 (WATCH VIDEO) Melania Trump is the toast of London after her arrival at a formal dinner to welcome her and the president to England. The first lady wore a flowing yellow gown to the lavish reception in the stately surroundings of Blenheim Palace. Her charm offensive helped ease tensions at the recent NATO summit, and she'll do the same in London where she plans to meet with veterans and school children. Security has been beefed up to unprecedented levels for the president's first official visit.